Photos are popping up on Instagram showcasing NECA’s John Connor Figure from Terminator 2: Judgement Day. 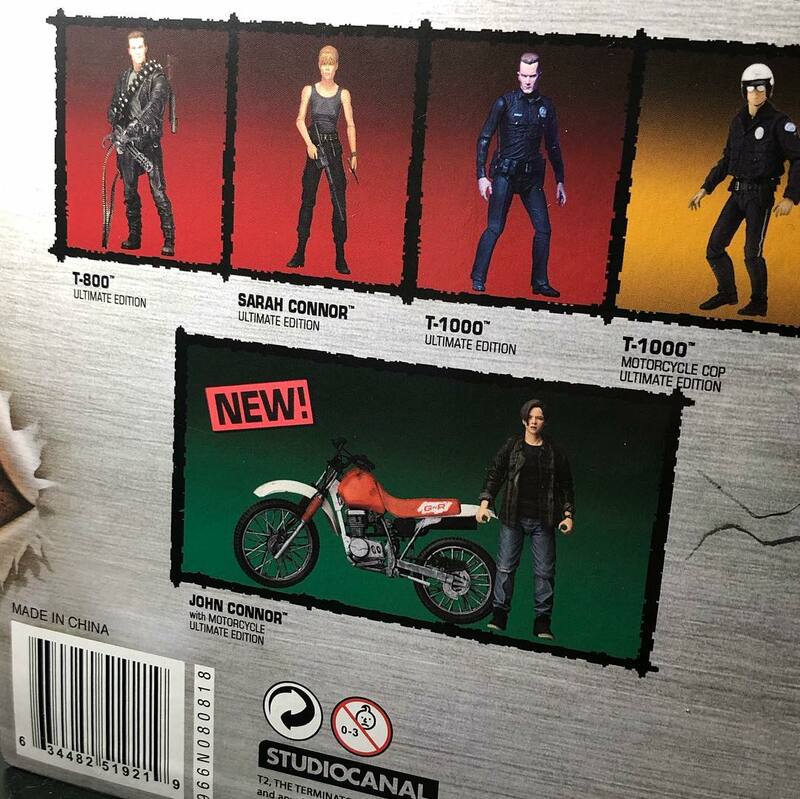 The images come from the back of their Terminator Kenner Tribute Figure Packaging, and reveals that it will be an Ultimate John Connor with Motorcycle. The John Connor Figure made his debut at San Diego Comic-Con 2018, and details had been kept under wraps since then. We’re still awaiting details on other possible accessories and a release date. You can see the photos by clicking the headline of the story. The post Terminator 2: Judgement Day – Ultimate John Connor with Motorcycle by NECA appeared first on The Toyark – News.